“Colors of Russia” by Mariano Mantel, June 22, 2015, CC 2.0. Adapted by Kevin Rothrock. This research project by Aric Toler, a contributor at RuNet Echo and Bellingcat, offers a series of guides, tutorials, and walkthroughs on understanding and conducting open-source research on the Russian-language Internet (RuNet). The primary focus of the project is providing instruction on the nuances of Russian-language research relating to the conflict in eastern Ukraine by using contemporary case studies. To show how these methods are useful in other conflicts, this project will also explore some similar open-source work being done on the Syrian conflict. The finished product will help readers learn how to understand and conduct such research. There are more Internet users in Russia than any other European country, yet there are no detailed guides or tutorials available to guide non-Russian speakers on navigating the wealth of open-source information on the RuNet. Many, if not most, of the guides will be accessible to those with little-to-no Russian skills, giving non-Russian speakers the tools and confidence to access information on the RuNet. The project helps researchers, journalists, and anyone interested in understanding more about the Russian Internet to verify sources and understand information found on Russian social media. It also provides some techniques for media forensics involving images and videos, including the different levels of verification needed for different uses: journalistic, evidentiary, as well as other avenues. The motivation for carrying out this project is to satisfy a demand among English-speakers for learning materials about carrying out and verifying open-source research on the RuNet. There is a wealth of information on the RuNet that is of interest to specialists, journalists, and the general public in the English-speaking world. There are currently no guides, however, that provide instruction for navigating and verifying these sources that differ from English-language counterparts. Important sources for research data include exclusively Russian-language social networks like Vkontakte and Odnoklassniki, along with others that function in Russian-language pockets on Twitter, YouTube, Facebook, and elsewhere. Open-source research can complement traditional journalism by generating leads and supplementing on-the-ground reporting. For example, the author of this project, Aric Toler, provided open-source research on a particular Russian soldier who fought in Ukraine to VICE News journalist Simon Ostrovsky to assist him in following his “journey” from his hometown to the battlefields of Ukraine (see “Selfie Soldiers: Russia Checks Into Ukraine”). In another example, open-source research from Bellingcat into the downing of Malaysia Airlines Flight 17 provided material for a 60 Minutes Australia investigation at the site of the tragedy. 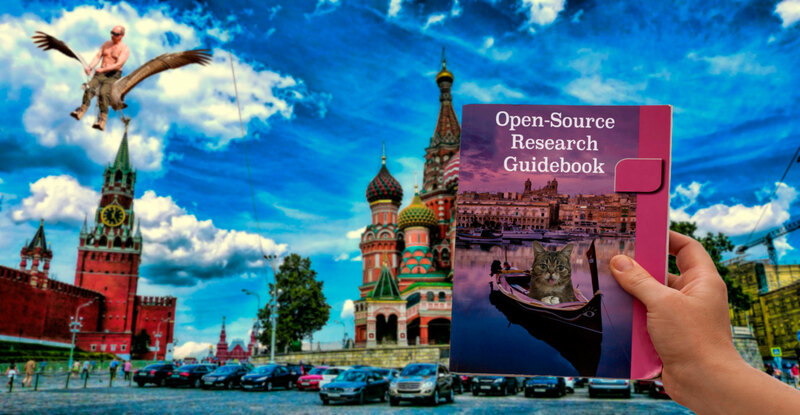 Each installment of RuNet Echo’s guidebook includes a detailed tutorial, accompanied by case studies, teaching readers how to conduct a particular kind of open-source research. This guide will provide instruction on using satellite images, with a focus on historical imagery, and available street-level imagery accessible for Russian and Ukrainian cities. This guide explains how to evaluate Russian TV news sources and navigate television networks’ online video archives, in order to compare coverage of specific events. This ninth and final entry takes the tools and instructions we've been studying and applies them to a single case study: last year's wildfires in the Siberian city of Chita. This entire guidebook is also available as a PDF. Download it. Print it. Share it with your research buddies and students. If you start using the methods described here, help RuNet Echo report on the Russian Internet! Contact our editors and let us know what stories you'd like to write about! What we do: Global Voices reporters cover how citizens use the Internet and social media to make their voices heard, often translating from and to different languages.